Brie and Camembert are among the best-known French cheeses. Brie, named after the French region of Brie, is also known as the ‘Queen of Cheeses’. It has a soft, creamy texture and its taste will depend on the ingredients that are used. Camembert hails from the Normandy region of France and was first produced by a local farmer, Marie Harel, in 1791. Like Brie, Camembert is a creamy cheese that is milky and sweet when young and becomes rich and buttery as it matures. 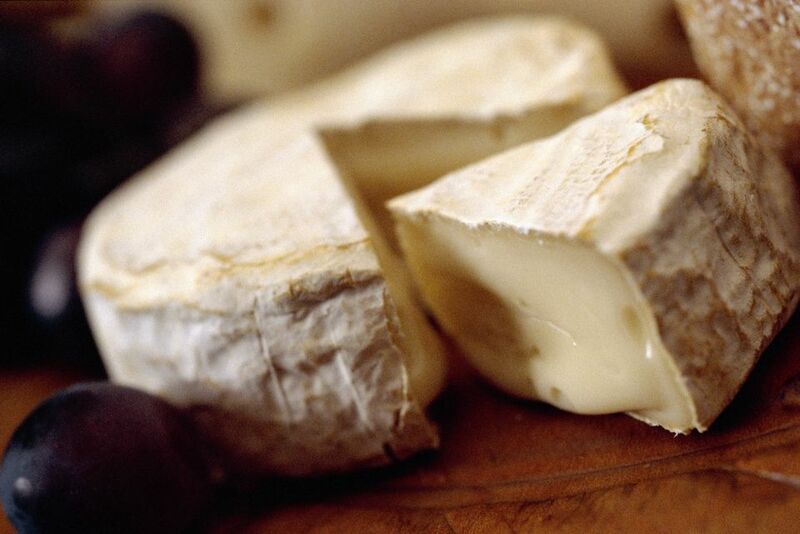 Both Brie and Camembert are white mould-ripened cheeses traditionally made with raw milk. Most modern Camembert and Brie cheeses are stabilised, meaning their pH is stabilised with a Type E starter. There is little real difference between the two cheeses although a wheel of Brie tends to be about 14 inches wide compared to 5 inches for a Camembert wheel.